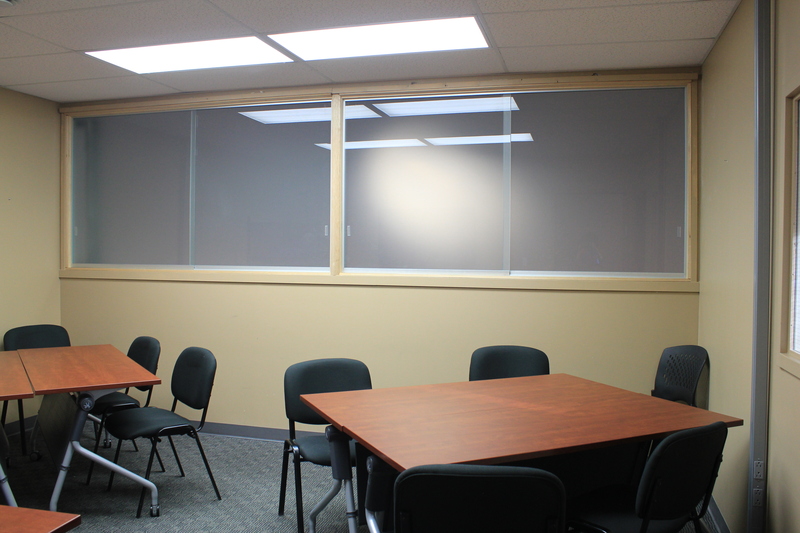 Our 4000 square foot facility with Lab of Discovery and classroom space is located in Douglas Glen. We also have classroom space with smart displays for the projects and other aspects of our STEM curriculum and training needs. 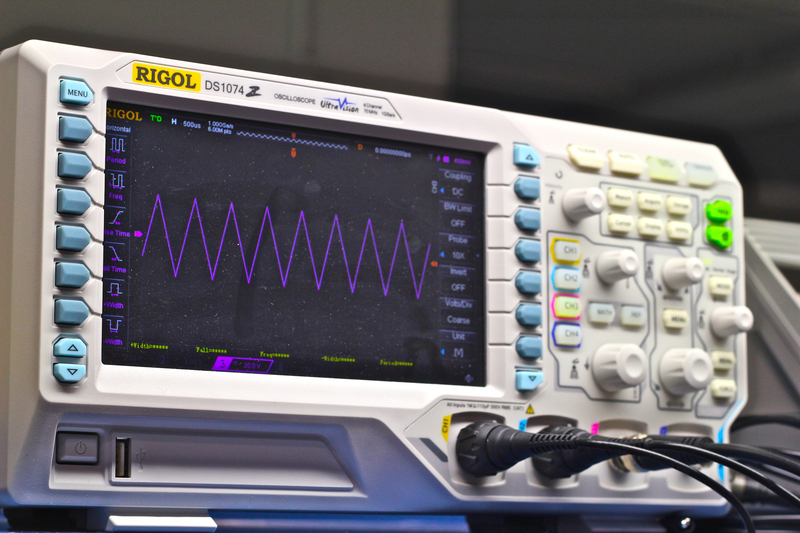 We have fully equipped lab stations, with a laptop computers for project research, design, coding and using programs such as AutoCAD, . 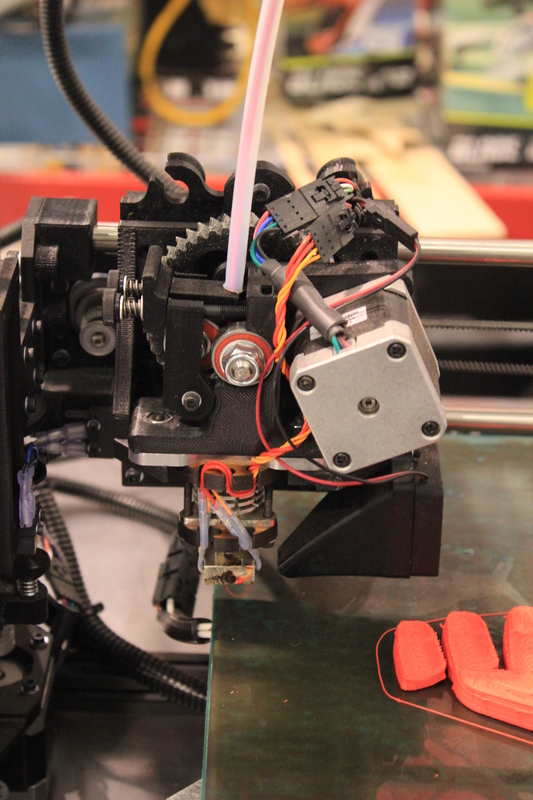 We have 3D printers, CNC machines and electronic test equipment where students can design and build components for their projects. 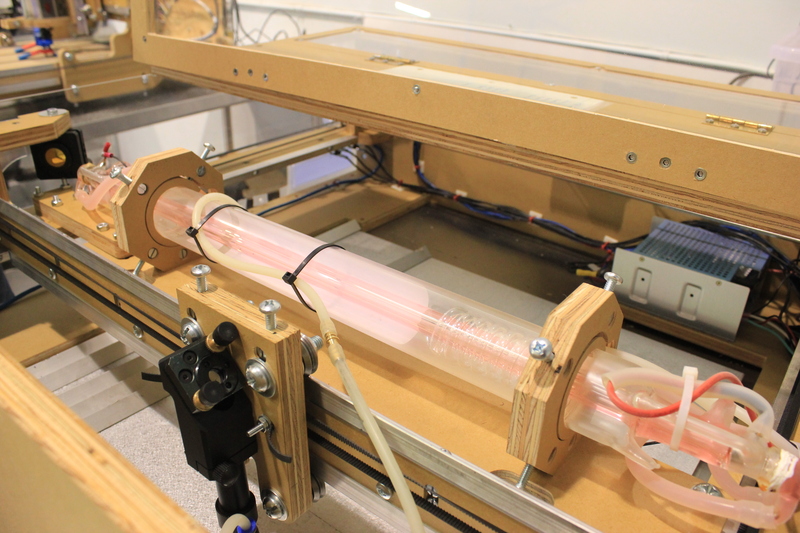 Our lab also includes a full workshop, including a state-of-the-art laser cutter, power tools and hand tools for building and machining project elements. Roots 2 STEM uses the latest in Arduino, Raspberry Pi and Beaglebone for the projects we design, build and code. 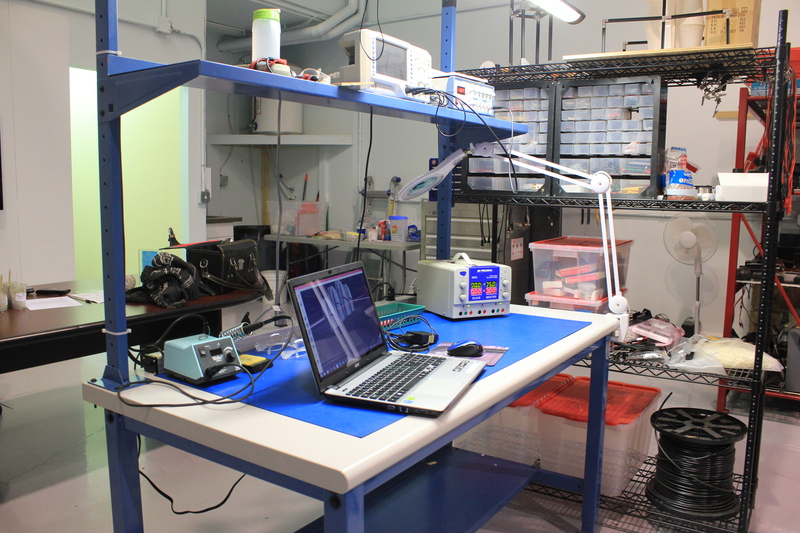 Our lab, with its dozen work space and workshop area toward the back. 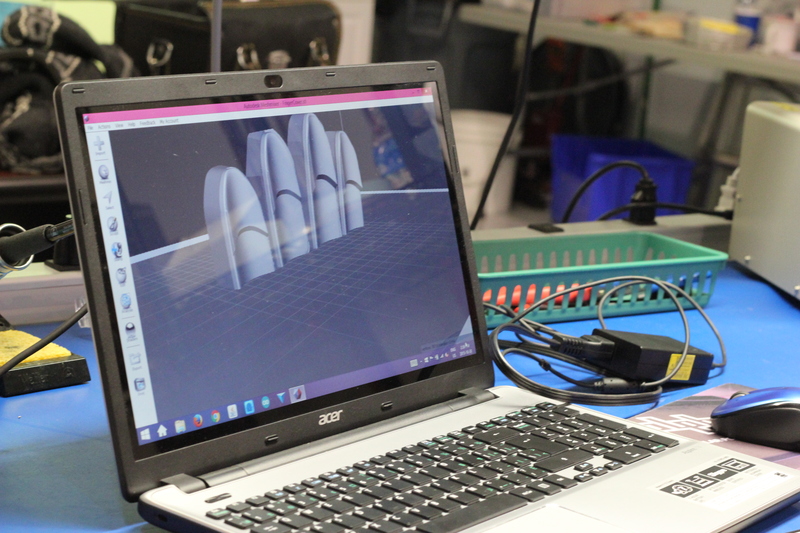 Students use software like AutoCAD to take their projects from design to reality. Usually 2 participants share a work station, which has everything you need to design and build your project. 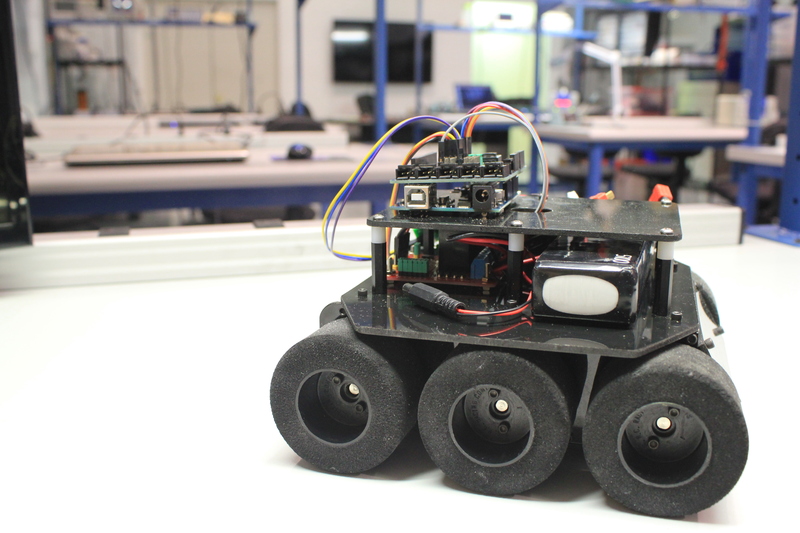 A robot from our robotics program. 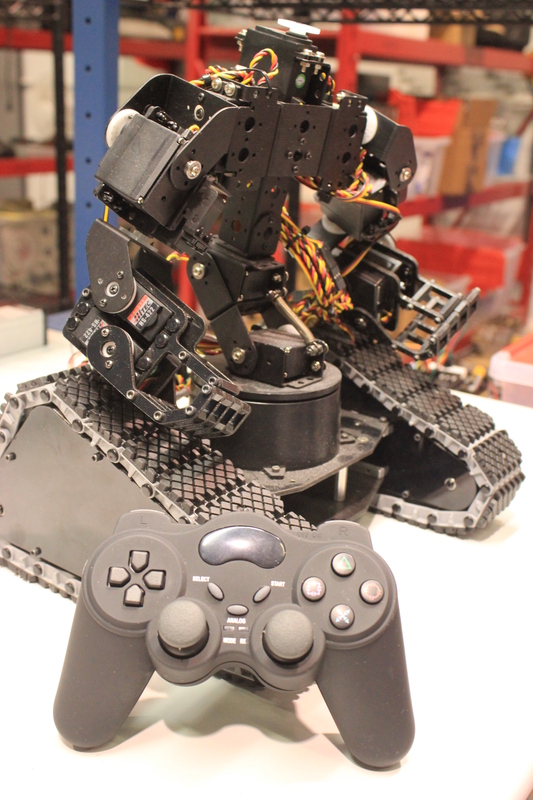 Yes, that is a PlayStation controller, it can be used to control your robot. 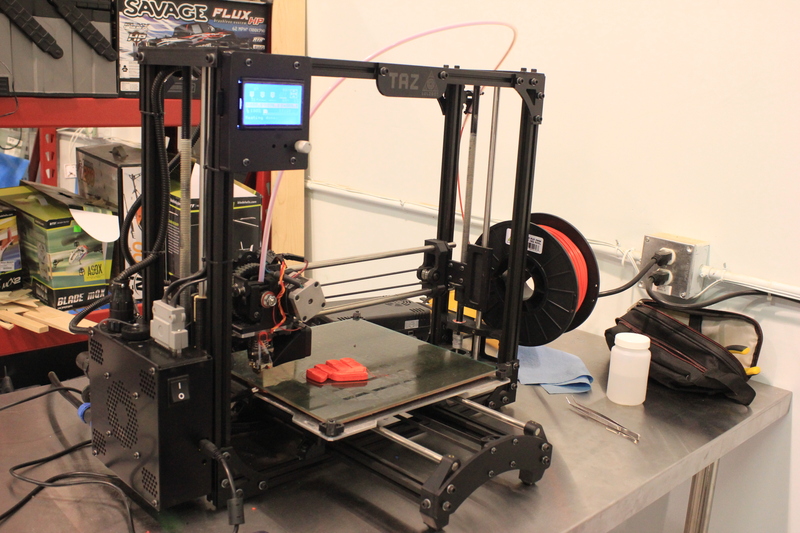 One of Roots 2 STEM’s 3D Printers (we have two!) This one is being used to build components for a mechatronic hand that a member of Junior Engineers Club is building. 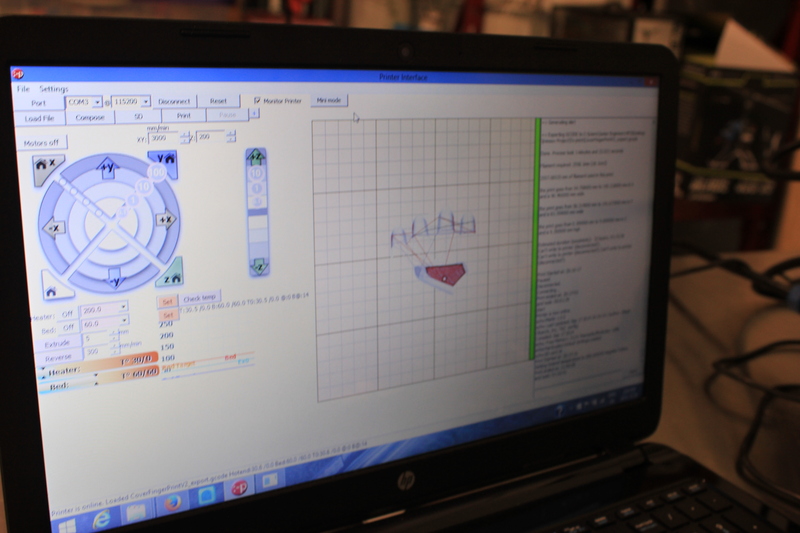 This is the design program that tells the 3D Printer what to make. One of our RC Cars, another element of our robotics programming. The laser cutter can be used for projects requiring cutting, marking or engraving. One of the 3D printers. 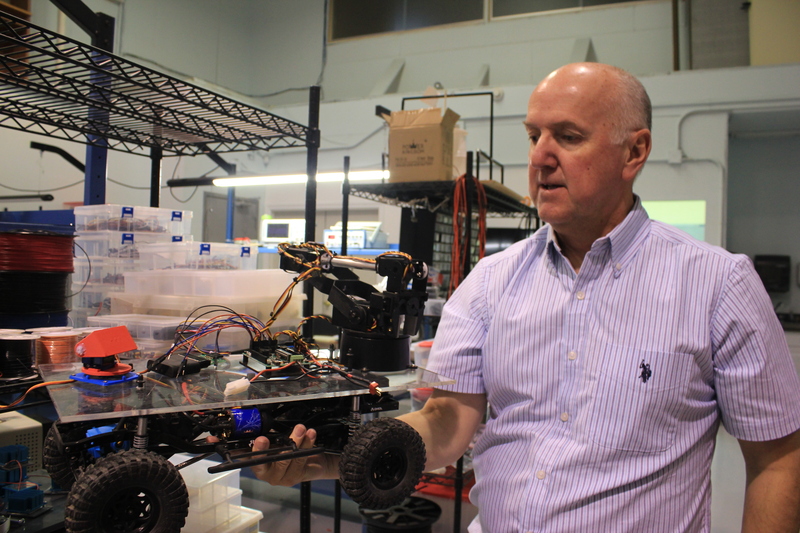 The Sumo Car, another RC car used in our programs. The “Dragon Bike” a special project made by Owen, one of our Junior Engineers Club members. 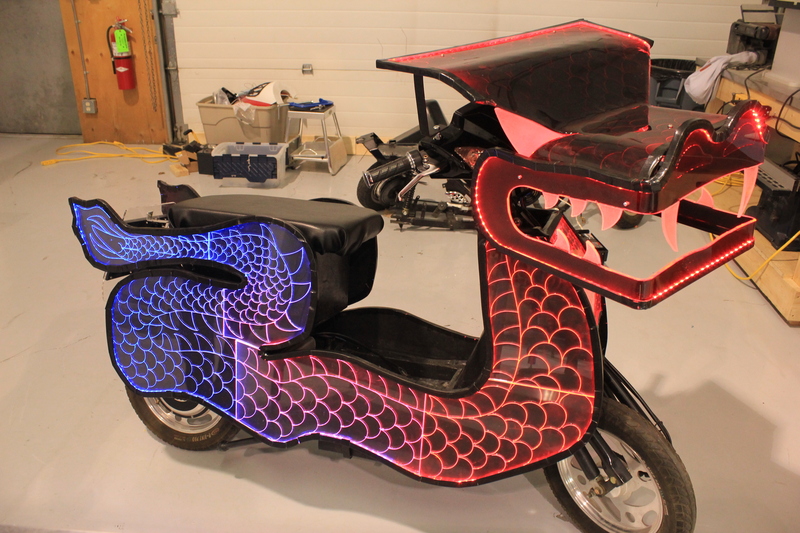 We showed this guy off at Beakerhead 2015. In Junior Engineers Club, you are only limited by your imagination!